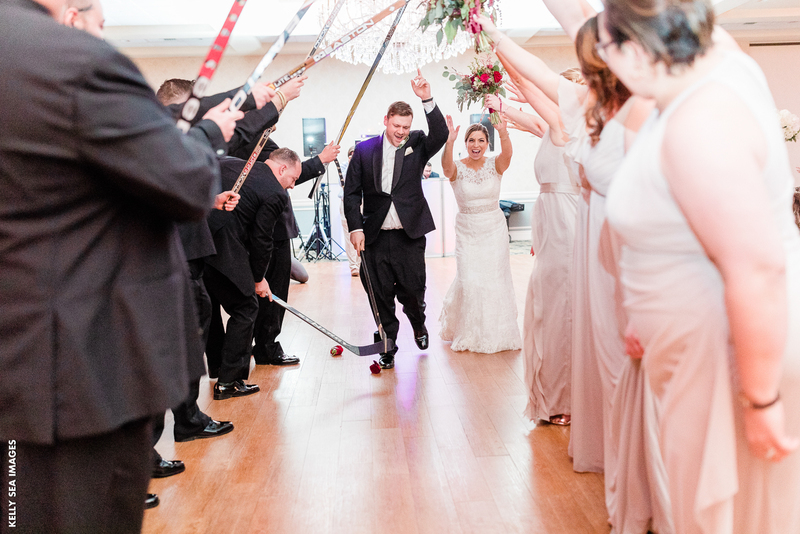 You’re being introduced for the first time as a married couple and your guests have probably been sitting around twiddling their thumbs while you took wedding photos. 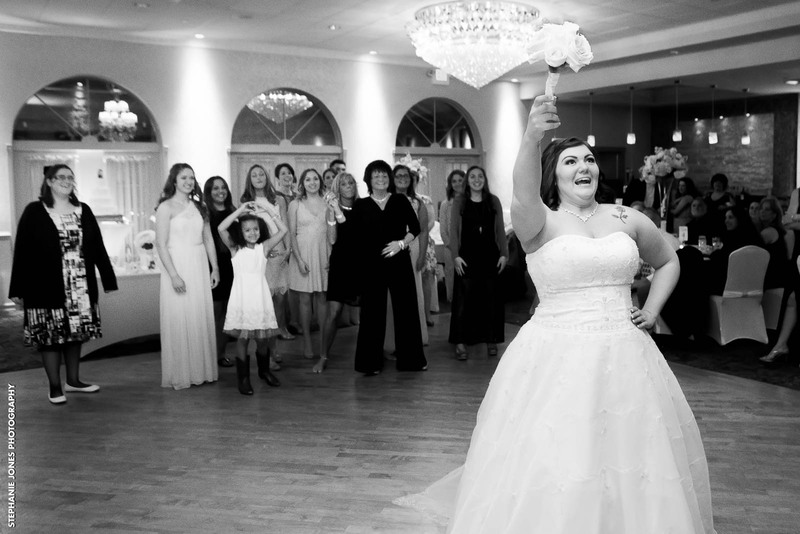 If you want to get the party started right, you need a grand entrance. 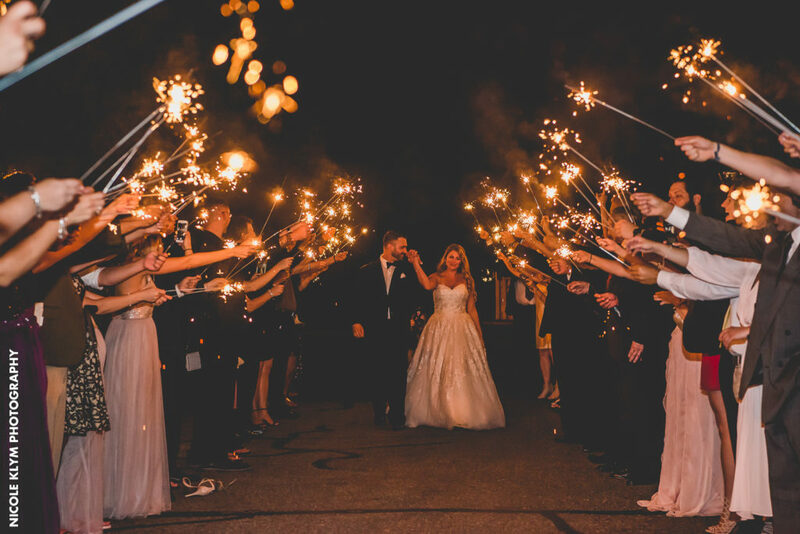 Whether you choose wedding sparklers in the nighttime sky or a brood of crazy groomsmen, your guests are sure to get a kick out of the action. 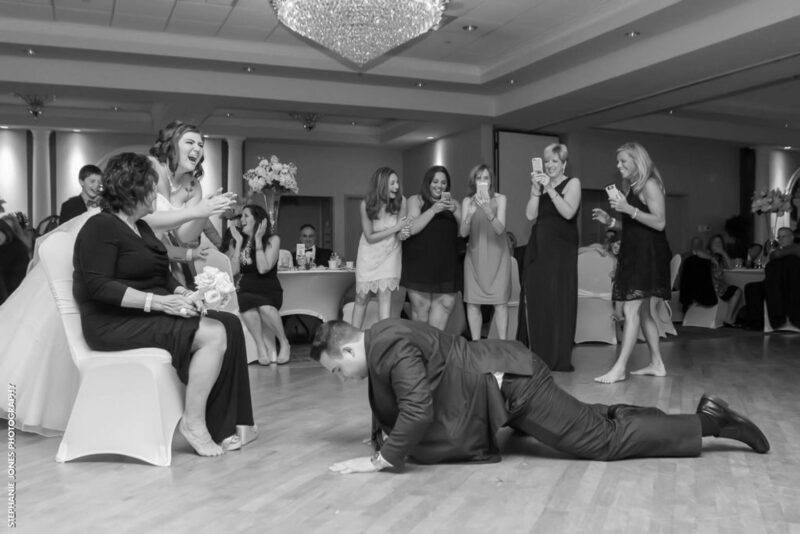 Nowadays couples and their bridal parties are thinking more and more outside of the box when it comes to dance routines. 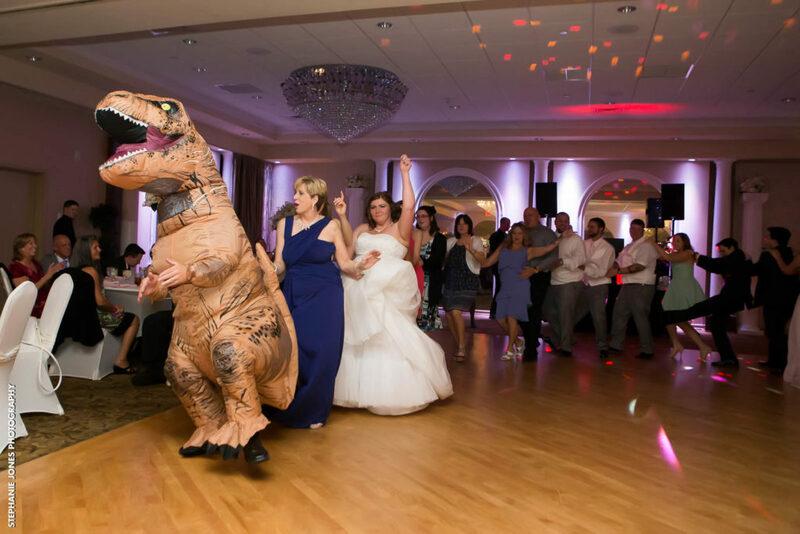 While the romantic first dance of the bride and groom can’t be replaced, you can throw in some other funny dance routines to keep the audience engaged. 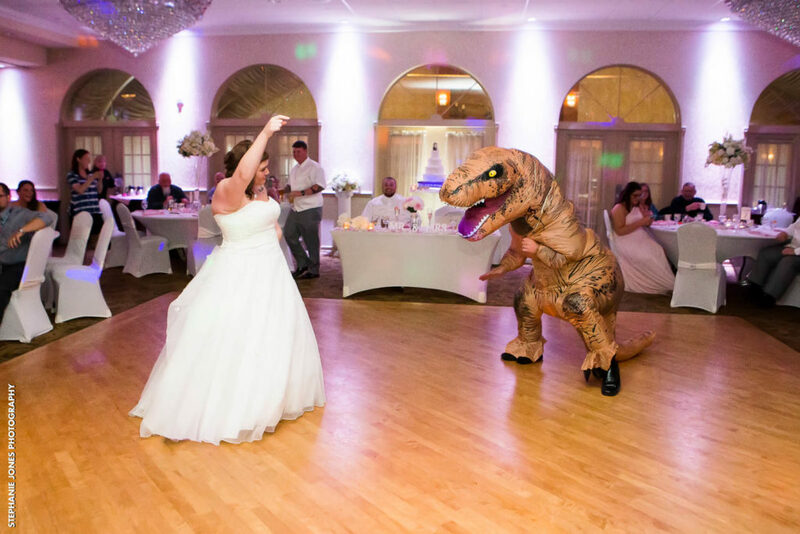 Check out how this bride was rocking out with a dinosaur, and these groomsmen being hilarious as they seem to be “serenading” the bride with their cool dance. 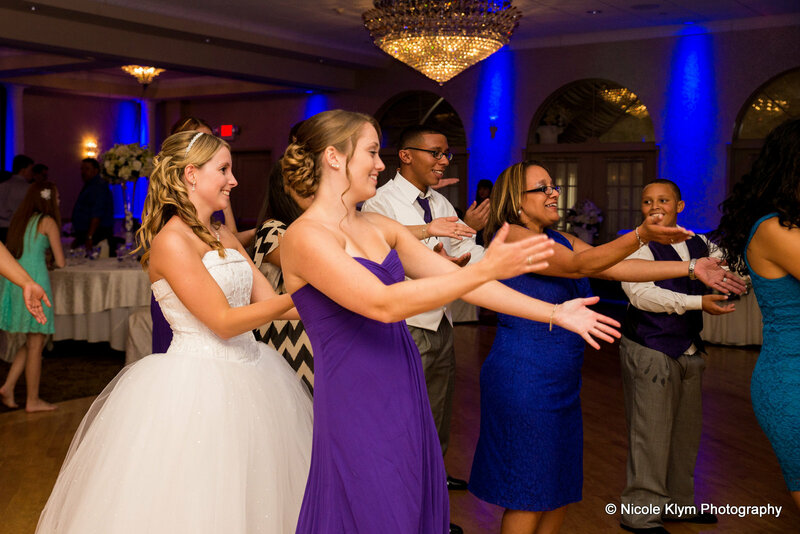 There’s something about wedding receptions that makes everyone want to get up and dance. 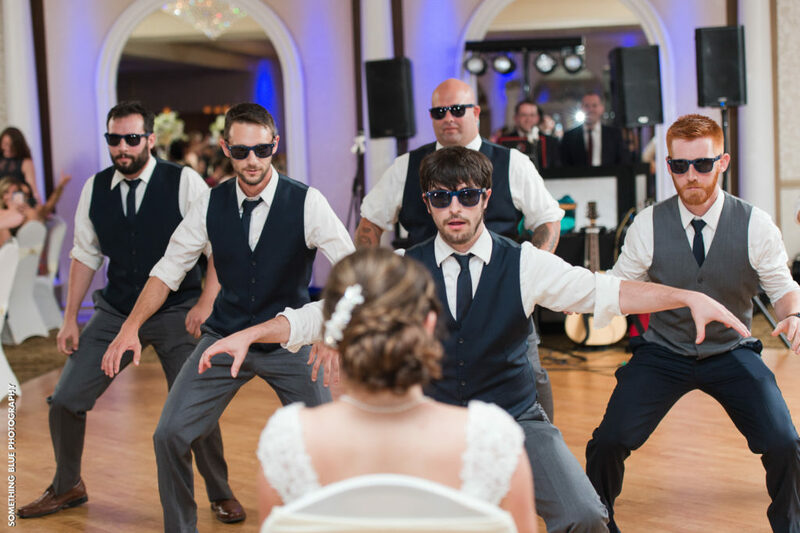 Now, if you really want to get the audience on their feet, there’s no better way than starting a line dance. 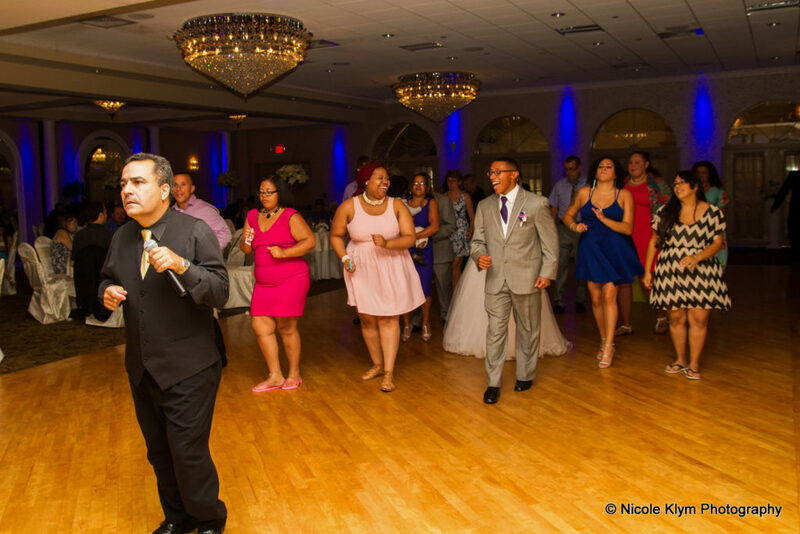 From the conga line and electric slide to the wobble and cupid shuffle, your guests will have a ball on the ballroom floor. 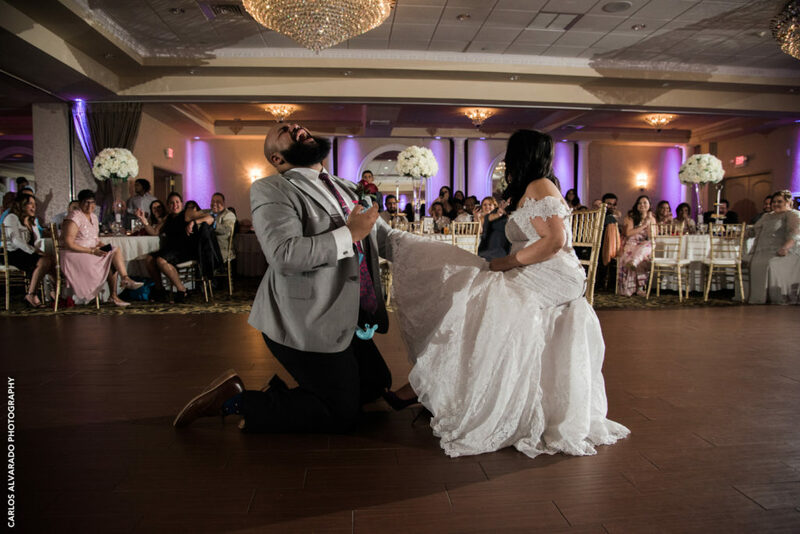 Of course, your guests would be appalled if you didn’t do the traditional things like cut the cake, retrieve the garter from the bride, and throwing the bouquet. Though, you can add your own little personal touch to it to make it more entertaining for friends and family. 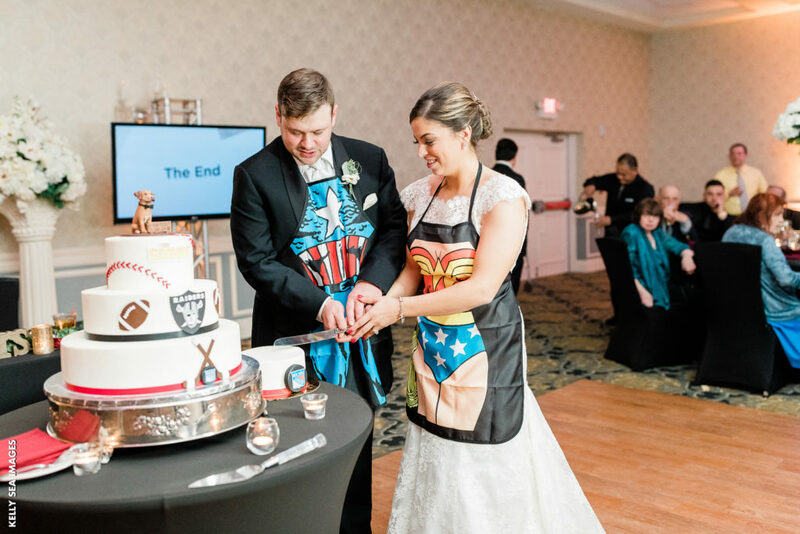 Your wedding reception is supposed to be the celebration of all celebrations. The party to end all parties. As long as you’ve got good drinks, great food, sweet treats, music, games, entertainment, friends and family, and the love of your life with you… it should go off without a hitch.